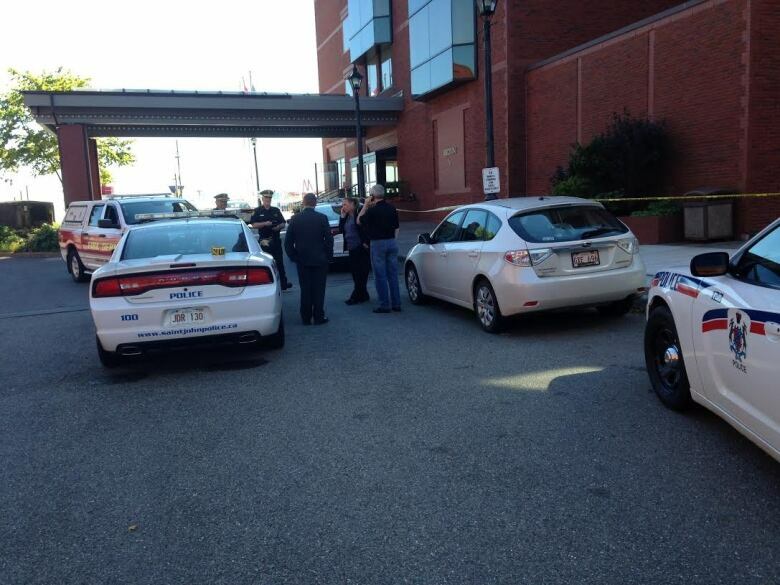 The lockdown sparked at the Hilton Hotel in Saint John, N.B., when a recent traveller from Africa fell ill has been lifted after doctors determined Ebola was not a factor. The lockdown sparked at the Hilton Hotel in Saint John, N.B., when a guest recently returned from Africa was found unconscious has been lifted after doctors determined Ebola was not a factor. Police say they "quarantined the building" after the woman was found by cleaning staff about 11:15 a.m. on Sunday. Public health officials, fire crews and Ambulance New Brunswick all responded. Saint John fire Chief Kevin Clifford said things "are back to normal" at the waterfront hotel. "What we were presented with was something different that raised some concerns," he told CBC News. "In the context of the world environment right now, we needed to ensure we didn't have that type of environment here." Dr. Scott Giffin, provincial medical officer of health in Saint John, said the first concern was the Ebola virus, which continues to make headlines as the death toll climbs in Africa. Giffin said the patient didn't visit any of the affected countries. "So while she was in West Africa, it's clear she didn't go into any of the high-risk zones. So she isn't going to bring it back if she hasn't been exposed to it," he said. "It's still possible to get the first case in a new country — extremely unlikely, but possible." Ebola is transmitted through direct close contact, Giffin said. The woman remains in hospital. Giffin would not divulge any details about her condition, citing privacy reasons. He says people frequently come back from tropical countries with diseases. "It's not like it's going to be Typhoid Mary running around Saint John," he said. An Ebola outbreak that began in Guinea in March has since spread across much of Liberia and Sierra Leone. Cases have also been registered in Nigeria and Senegal, and the World Health Organization says more than 2,100 people have died. It's not the first time that Canadian health officials have acted with caution in recent weeks. A number of individuals have been placed in quarantine until it was determined they weren't suffering from the virus. Last Sunday, public health officials in Quebec confirmed a girl who developed a fever after returning from a trip to West Africa did not have Ebola. A week before that, a patient at a Montreal hospital tested negative for the virus, and earlier in August, testing confirmed a patient in Ontario did not have Ebola.